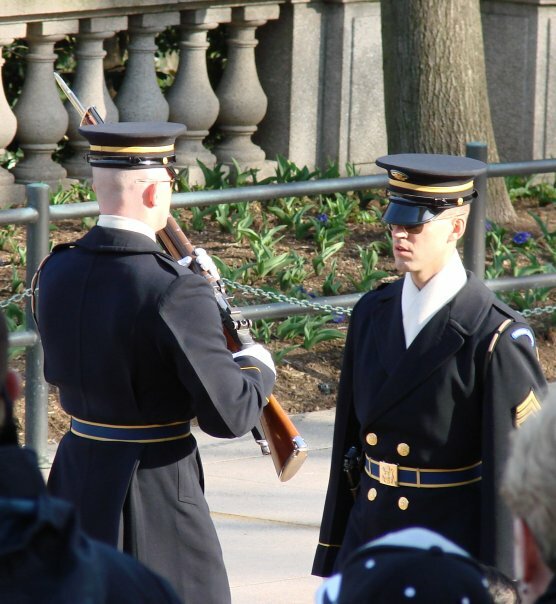 The last time I visited Arlington National Cemetery in D.C., I stayed to watch the soldiers perform the Changing of the Guard ceremony at the Tomb of the Unknown Soldier. It's quite a sight to see. I have so many photos from the area monuments and battlefields I could share for Memorial Day, but the amount of respect that goes into guarding this particular monument put it to the top of the list for me. Have a happy Memorial Day. I've seen it, but it was a long time ago--over twenty years! Thanks for posting this. Just the right shot for the day.